If you’ve read my improvement series, then hopefully you’ve been, well, improving! Unfortunately, you might be hitting something that every level of player hits while improving – The Plateau. The Plateau is a place where you start winning and losing against the same players. You don’t ever feel anything involving your level of play changing, and more often than not others around you can look like they’re leaping forward and suddenly beating a ton of players, including you. You can’t seem to find any answers to getting better, and it can be an incredibly frustrating experience, especially if it drags on for a long period of time. Now, I’ve been seeing a lot of players talking about this lately in Chicago’s scene, and that’s good. Unfortunately, most of it (to me) looks like some players getting frustrated and not knowing what to do next. They’re sick of playing all the time and not seeing any visible improvement. So, it’s time to dive deeper into the art of improvement and talk about ways you can plateau, and how to get back on track! Whether you’ve become busier due to outside factors (work, school, kids, significant other, etc…) or playing is starting to feel like a chore, you’re not practicing every day. Someone will tell you that doing something every day will make you better at it, and Smash is no exception. If you start slipping on practice, you’ll be as good as you are right now with no visible room for improvement. I’m a perfect example of this. When I went to the first Mashfest, I took out a few notable players and my only losses were to top 10 players since I had started playing. Granted, I’ve only been to 4 or 5 tournaments, but the top players have generally remained the same. Fast forward to now, and I recently went to a weekly at Ignite Gaming Lounge, where I lost to two players I had never played before. Many of Chicago’s players that I probably could’ve handle 6 months ago have now accelerated to my level because I haven’t been practicing every day. Now, practicing doesn’t necessarily mean playing – watching videos and theory-crafting can also be practice, especially if they’re videos of your own play. As a rule of thumb, actively play the game 4 days out of the week. If you’re practicing for a long period of time and can’t fit that in your schedule anymore, try slimming the time you play down. I think 30 minutes is perfect – it’s enough to get something out of practicing, and it’s more time-efficient. You can squeeze in a quick 30 minutes in the morning before work/school, as a break to doing homework, or right before you go to bed. Autopiloting is a term that’s used to refer to the state of mind where you’re not cognitively thinking about what you’re doing while playing – you’re just playing. This leads to easily read habits that can be swiftly dealt with, and suddenly you’re down a stock without really knowing what adjustments you need to make mid-match. There are a million reasons why you could be autopiloting, so there’s no easy fix for this. You need to work on being more cognitive of what you’re doing while playing. If the audience distracts you, try music. If you just suddenly feel drained, see what’s causing that and work to fix it. If you’re getting bored or frustrated, try and reset to neutral or take those whole 4-5 seconds of invincibility after losing a stock to recompose yourself. These are not good thoughts. Being happy with where you are is great, but don’t let it stop you from improving. If you’re truly happy with top 10 and don’t have a burning desire to go all the way to #1, then great – you’ve accomplished your goal. But if you still want to get better, don’t slack off once you hit major milestones. Now that you’re a big hotshot player, you walk around like you own the place. You give advice that’s (probably) unwarranted, you talk smack to all the players you used to respect but are now better than, and you get really, really frustrated when people below your rank beat you. You belittle those wins as much as possible, and belittle wins of those that are ranked higher than you. You get angry when a new PR is released and you’re not where you thought you should be – why is Player X above me again? You play off your losses like it couldn’t’ve been your fault you lost. Well, it is – go humble yourself and show some respect. I’m all for a little edge and smack talk, but let’s not think we’re all that, okay? I suffered from this myself back in the Brawl days, when I finally hit the PR for the first time I got pretty angry when I lost, thinking that I should’ve been better and should be winning. I never bothered to reflect on why I was losing, I was just blinded by my own pride. Clear your head and realize that you’re not some special celebrity. You’re good, sure, but you’ll never be great with that attitude. You had a reason why you wanted to be the best, but maybe that reason has changed or is invalid now. You don’t really know why you’re putting so much time into this game, so you put in less and less time. There’s no easy fix for this one, either. This is all on you. Find a reason to reignite that fire, or just accept that this is where you’re going to be until you get that time back. Whether you don’t really know where to start or you’re not really focusing when practicing, you can play as much as you want, but at some point you’re going to fall flat when it comes to improvement. Yes, doing something every day will help you be better at it, but consciously thinking about what you’re doing and trying to understand all the finer details will help you even more. When practicing, take the time to pause and think. Analyze different situations, try and visualize different options, and then execute on them when practicing. Don’t just play. Also, don’t think you can substitute thoughtful play for playing every day. Do both. A lot of players in Chicago play for many hours a day or binge on Super Smash Bros. a couple times a week. This can cause them to grow tired of the game, especially if they don’t see immediate results after playing for so long. Or, after playing so much they become bored and want to take a break. This can kill all motivation and your training regimen/habits. Don’t let burning out stop you. If you feel like you’re growing tired of the game but still want to get better, take a small 1-2 week break. No tournaments, no playing (not even casually). All you should do is watch videos and streams to practice every day. If you do go to tournaments, don’t play friendlies – just socialize and watch. Actively play and enter tournaments once your break is over. Practice can feel like a chore sometimes, and this is just one way to reignite the passion to play every day again. If you don’t want to watch videos or streams too, then so be it. Just. Don’t. Play. Do not touch the game for the time you’ve allotted yourself for a break. And don’t let it be longer than a month. You want to be relatively fresh when you jump back in, and in my opinion, a month is too long for a break. I’ve written very briefly about some of the aspects of the mental game of Super Smash Bros., but in any competition, having a strong grip on your mental composure is crucial to your improvement and success as a player. I’m not going to get too into it here, but if you’re getting too frustrated from losing, too cocky from winning, or feeling hopeless mid-match after being combo’d, killed, etc… then you’re not going to improve. If you can’t calm your nerves when you need to perform something easy and mess it up, then you’re probably going to lose. If you raise top players onto a pedestal, you’re never going to beat them. The hardest part for this specific example is that you might be in denial because your attitude is how you think and feel, and that doesn’t change easily. If people are talking about how you act during certain situations, how you complain/rant all the time, or about your negative attitude, it’s time to humble yourself and ask if your mentality is holding you back from being truly great. There are many, many more reasons as to why a player plateaus – these are just some common ones. I’ve gone through a couple of these myself, and I guarantee you will too. Take a breath, work to fix the problem, and get yourself back out there. Just don’t be discouraged if it takes a while. Sometimes, it’s a slow ride back to improving. Other times, you’ll be back on track and improving after one small session. 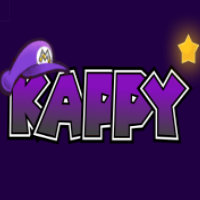 This entry was posted in Gaming, Smash and tagged 9, Blog, Game, Games, gaming, improvement, in, IX, Just, Just sayin', Kappy, Nine, Nintendo, Plateau, Sayin', Smash, Smash 4, Super Smash Bros., Super Smash Bros. Brawl, Super Smash Bros. Wii U, the, thekapz, Video Games. Bookmark the permalink. ← 4 Years and Running!